Try us out... call or email us (if you don't find us friendlier and more knowledgeable than our competition, let me know). If you speak with Julia, Twila, Hope or Heather, they will gladly help you as well. 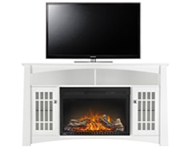 There are a number of unauthorized dealers of Dimplex and ClassicFlame products, which means they do not have a direct relationship with each manufacturer (they get product through a 3rd party), are not endorsed, do not stock product and can not guarantee that warranty and service issues will handled quickly. 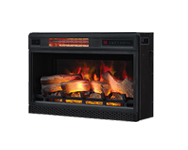 NOTE: We are one of just a few certified authorized distributors of Dimplex and Classic Flame products on the internet. Authorized means that we have a direct relationship with each manufacturer regarding price, warranty and service issues. Have a question? Do not hesitate to call 888.867.1172 or email us. 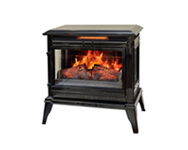 Because we are electric fireplace specialists (and stock more product than anyone else), we are able to deliver your purchase quickly (and FREE!). A large number of our items are sent within 24 hours of your order (because they are in our warehouse). Other items are shipped in just a few days. If we run into a manufacturer delay, we will let you know. 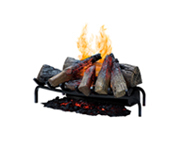 Feel free to contact us via email or by calling 888.867.1172 to check on any item. If the first four reasons don't get you, our prices will! 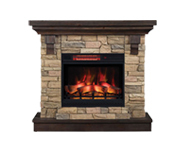 We offer quality electric fireplaces at prices that are extremely competitive with other authorized sellers. Last but not least, is our guarantee that you will be satisfied with your purchase or we will accept your return in saleable condition in original packaging without question. Just pay return shipping. I hope that you will give us the opportunity to impress you. 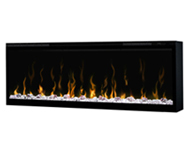 I think you will find that we try harder, care about what we do, and more clearly understand our electric fireplace products than our competition.